1. Costa Rica is what’s known as a Blue Zone. Blue Zones refer to areas of the world where people live longer due to factors like reduced stress, healthier diet, and regular physical activity. Visiting can give you a taste of the country’s overall commitment to wellness, and maybe help you incorporate some aspects of it into your own life. 2. When you travel to Costa Rica, it’s almost impossible to avoid visiting some hot springs, as the country has an abundance of them. Some include amenities like waterslides or spas, while others are more low-key. Either way, it’s a great way to relax, detox, and unwind. 3. Costa Rica has an abundance of local fruits, many of which locals enjoy drinking in a refresco, a blended drink of various fruits mixed with water or milk. This is a great way to sample local produce and cool down. 4. Given its location, Costa Rica has continuous access to incredible seafood. While visiting, this is a fantastic way to eat healthy and local. Try ceviche or sea bass, which are local specialties. 5. 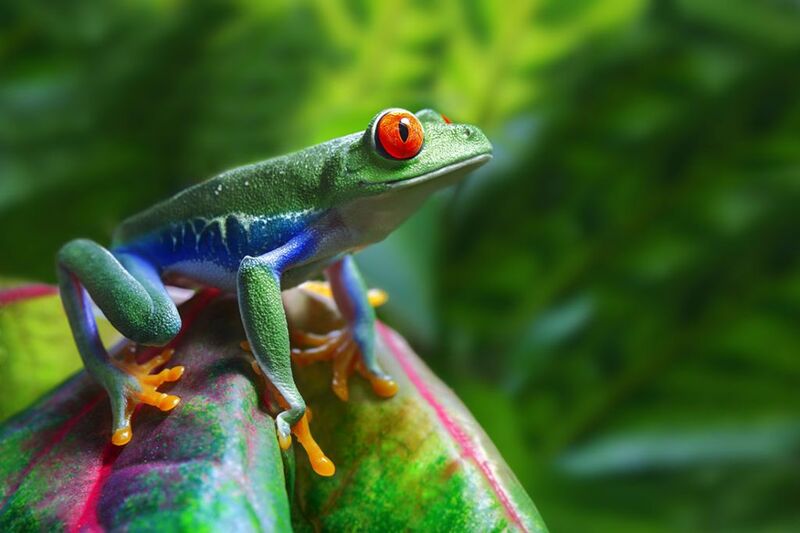 Costa Rica is a destination like no other when it comes to commitment to environmentalism. Whether it’s alternative energy, protection of natural resources, or eco-friendly construction, it’s an unparalleled destination for the preservation of the natural world. 6. The country’s preservation of natural landscapes makes it an incredible place to hike in the rain forest. It’s a combination of great exercise and amazing wildlife sightings. 7. If hiking isn’t your speed, why not try rainforest horseback riding? Many companies exist that can set you up for a day galloping through the jungle. 8. Snorkeling is another fantastic activity when visiting Costa Rica. The water is incredibly blue and clear, and the possible locations for snorkeling are everywhere. If you’re interested in scuba diving, Costa Rica is also an ideal place to train and become certified for it. 9. Don’t pass up on rappelling down a waterfall. The country is known for its many beautiful waterfalls, many of which are easily accessible by hiking. In addition to a fantastic adrenaline rush, it’s great exercise and an experience you won’t find anywhere else. 10. And if after visiting you decide, like many people do, that you would like to make Costa Rica home then you will love this fact. Costa Rica has some of the best healthcare in Latin America, covering many of the costs for citizens and permanent residents. For visitors, private insurance is also available at a relatively low cost. Tagged adventure travel, costa rica, healthy living.